SIZE: approx. 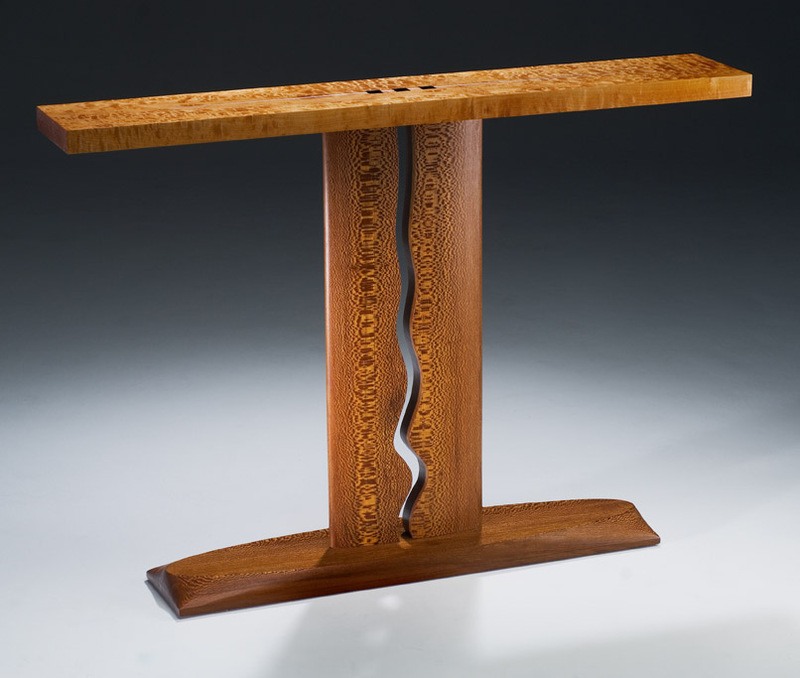 48" x 34" x 9"
DESCRIPTION This table is highly sculptural in form. The rippled grain of the top, undulating negative space of the uprights, and shaping of the base invite association with nautical forms. This design can be executed in a variety of materials to suit.